THE REAL LAND KNOWN AS CYMRU – ONLY TO BE RENAMED. So where is Wales ….somewhere in England? Hardly!! Fact is, it was once the other way around. 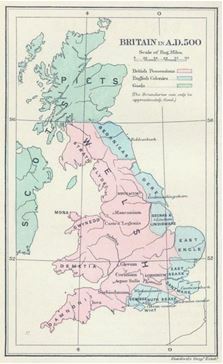 The land of now Cymru is a civilization PROVABLY known to have two have two successful migrations; The first led by Albyne from the ancient Chaldean-Syria c. 1500 BC, and the second led by Brutus from western Asia Minor c. 504 BC – the same Khumry that the Assyrians recognized as the Ten Tribes of Israel. Yes we are ‘the original’ ancient Britons. Though we are often stereotyped and watered down in our identity, we are very different in our heritage from the rest of what’s known today as Great Britain. Our own music distinguishing us from other races on the island. In fact, most outside observers chiefly identify us by our music and the divine endowment in our generational ability to sing. …And we can pour it out too!